You are legally entitled to purchase alcohol and that you can provide sufficient evidence of that entitlement on request (e.g. NZ Driver’s Licence or Passport) prior to or upon delivery of the products. 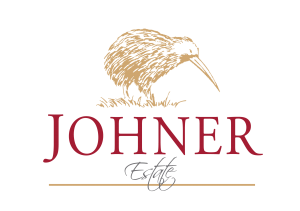 All information supplied by you to us is true and correct at the time you make any purchase on the Johner Estate website. All products are sold subject to their availability. Promotional items may be limited as to quantity. We shall not be responsible for any inability to supply products to you where they are not presently available, or where our stock of the relevant product(s) has been exhausted. Prices quoted on our website are in New Zealand Dollar and nclusive of GST. You must pay us the full price quoted on the website at the time the order is submitted, to receive your order. Freight is charged based on region of delivery. Delivery outside of mainland New Zealand (i.e. Waiheke Island and Stewart Island) may be subject to additional freight charges. Delivery will usually be made within 5-7 business days of receipt of order. If there is a lead time or delay for delivery, we will contact you to confirm dates. At present, we are only able to accept orders for shipping within New Zealand. Please call us on +64 6 370-8217 or email johner@wise.net.nz if you have any questions. If your delivery has been damaged in transit, we will replace it for you. Please note that damaged goods must be reported within 48 hours of delivery. If your order has been packed incorrectly and is not what you have ordered, we correct it. Please note that packing errors must be reported within 48 hours of delivery. We respect your privacy and will protect it. Details that you provide on our website (except credit card details) will be kept on file in our system. Once you have placed an order on this website the order is final and cannot be cancelled.